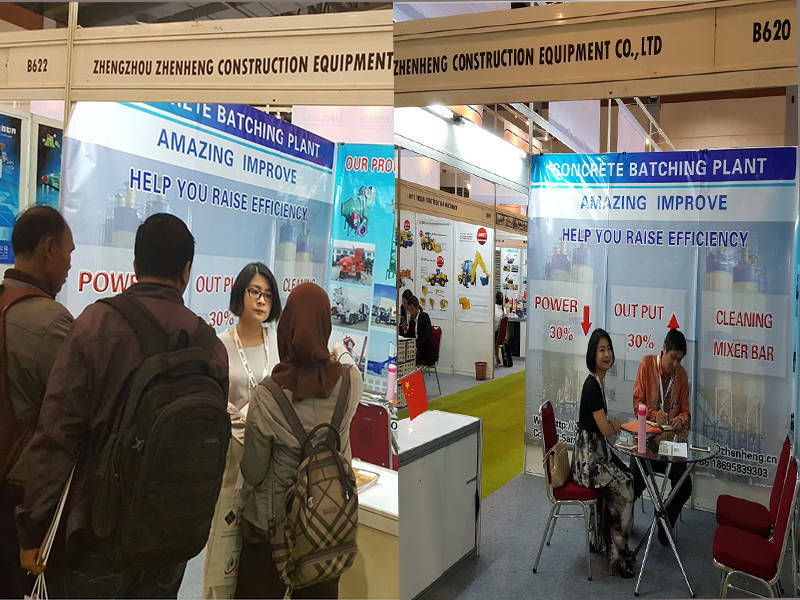 Zhengzhou Zhenheng Construction Equipment Co.,Ltd has participated in Indonesia Infrastructure Week, exhibition date from 9 to 11 November. This is a professional construction exhibition especially for us, which has more than 34 years’experience in concrete batching plants and concrete mixers. they come with questions and leave with knowledge they asked about how to make a concrete batching pant and other requirements about construction business! Our professional team is waiting for solve problems for all of clients. Welcome to Indonesia Infrastructure Week November, 2016, Djakarta, booth number B620-1. We will also continue to enhance the service system, to accelerate Zhenheng branding, making more quality products and service to customers.